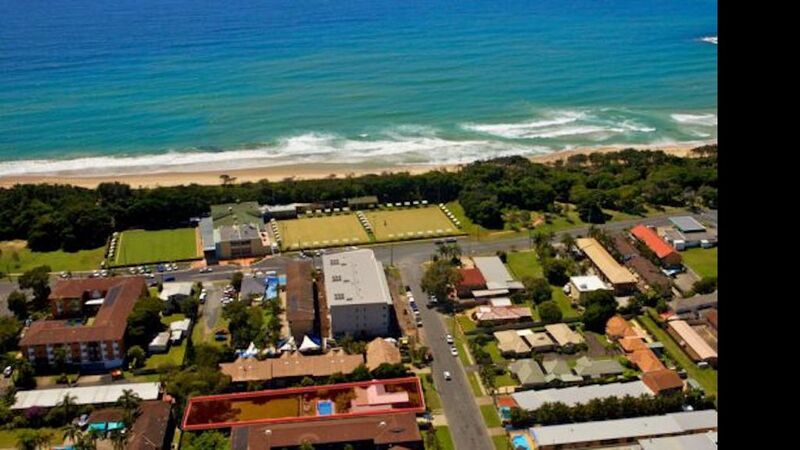 Coffs Harbour Beach House, One of the Best Located Holiday Homes in Coffs!! This funky beach house in Coffs Harbour's main tourist precinct offers a relaxed holiday with everything at your fingertips. The city's main beach (Park Beach), the only beach locally patrolled all year round, is located less than 100 metres away and parks, clubs, pubs, cafes, restaurants and shops are all within walking distance. The house itself is decked out with everything you need for a holiday, with pool and large decked entertaining area, complete with BBQ. The HUGE level fenced yard is ideal for a game of backyard cricket or soccer. Inside, is decked out perfectly for a family or a group with two living area's, both with flat screen tv's and stereo's. There's reverse cycle air con and even a spa bath!! It's the perfect home away from home and decked out with a beach escape in mind. Home also has a double (tandem) lock up garage. Lovely, neat and tidy house. Pool and yard. We took our dogs with us and they settled in well, with a large yard to hang out in. Close to the beach. We really enjoyed be able to relax and either hang out at the pool or explore Coffs. Recommend as a great place to stay. The host (Aaron) was great, communicated well and had everything ready for our arrival. The house is a great beach house style, with very large rooms, heaps of room in the backyard if you need. We had everything at our doorstep, within walking distance, including shops, clubs, beaches and great cafes. The 'Beach House' is right on the beach front, with an easy walk and access. I would highly recommend the 'Beach House' to families, groups or couples wanting space, its an ideal holiday home.